Living a Fit and Full Life: Orgain is Organically Nutritious™ & Keeps Families Healthy! Orgain is Organically Nutritious™ & Keeps Families Healthy! How do we make Orgain®? Clean, organic protein is the engine of all Orgain products. With our dairy-based shakes, we use USDA Organic, Grass-Fed Whey and Milk Protein Concentrates. 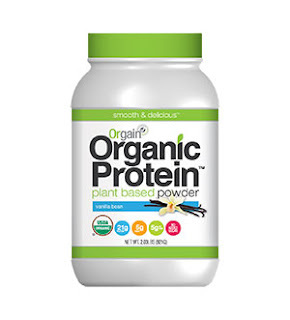 Our Plant-Based and Vegan products use only the highest quality, certified organic plant proteins. That means no hormones, no antibiotics, and no pesticide and herbicide residues. Our philosophy is simple, we prefer food that tastes good. We're pretty sure you do too. We don't put out products that we don't love ourselves. Natural Food simply tastes better. And Orgain products are simply delicious! Not only are all Orgain products USDA-certified Organic, but they’re also Gluten Free, Soy Free, Non-GMO, and free of all artificial colors, flavors and preservatives. We strive to limit sugar content and ensure we’re delivering the healthiest possible products. All Orgain products are made in the USA. Convenient on-the-go food can be good food! If you’re anything like us, you’re constantly moving…running off to work, taking the kids to school, squeezing in a quick run or a trip to the gym. Convenience is important but so is your health. Orgain is healthy, organic food on-the-go or any time of day. 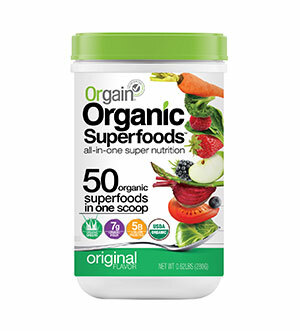 Organic Superfoods™ Powder has 50 Organic Superfoods in every scoop. With Organic Greens, Organic Fruits & Veggies, and Organic Sprouts, plus 5 billion Probiotics, enjoy all-in-one super nutrition! 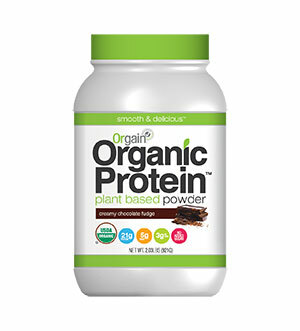 Orgain Organic Protein Blend (Organic Brown Rice Protein, Organic Sprouted Chia Seed, Organic Hemp Protein, Organic Pea Protein), Organic High Oleic Sunflower Oil, Organic Erythritol, Organic Rice Dextrins, Organic Cocoa, Organic Acacia Gum, Organic Inulin, Organic Natural Flavors, Organic Guar Gum, Xanthan Gum, Organic Rice Bran Extract, Sea Salt, Organic Stevia, Monkfruit, Rosemary Extract. Orgain Organic Protein Blend (Organic Brown Rice Protein , Organic Sprouted Chia Seed, Organic Hemp Protein, Organic Pea Protein), Organic High Oleic Sunflower Oil, Organic Erythritol, Organic Rice Dextrins, Organic Acacia Gum, Organic Inulin, Organic Natural Flavors, Organic Guar Gum, Xanthan Gum, Organic Rice Bran Extract, Sea Salt, Organic Stevia, Monkfruit, Rosemary Extract. Includes four 1.41 oz bars of these Organic Protein Bars, containing one of each Peanut Butter, Peanut Butter Chocolate Chunk, Chocolate Chip Cookie Dough and S'Mores. 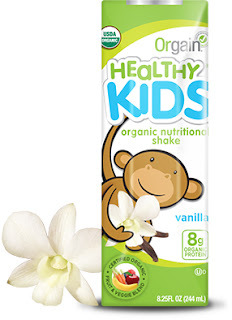 Orgain is organically nutritious™ & keeps families healthy! I had the pleasure of trying all the products above and absolutely loved everyone of them! When I was pregnant was the first time I tried Orgain's Organic Protein Powder and boy was it delicious. I suffered from extreme all day sickness called hyperemesis gravidarum and their were very few things I could eat. I literally lived off of Orgain's Organic Protein Powder because it was just about the only thing I could tolerate. The flavor is wonderful and I love that they'res no unpleasant after taste. I also love that it blends well and you don't have lumps like many other similar products. Orgain's Organic Superfoods™ Powder is packed full of good for you ingredients and makes tummies happy. I've been taking Orgain's Organic Superfoods™ Powder for about a week and my stomach feels amazing. I no longer get any afternoon bloating and can definitely tell that this product contains enough probiotics to improve digestion. 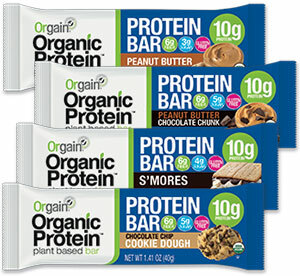 Orgain's Organic Protein Bars are delicious! With flavors like Peanut Butter, Peanut Butter Chocolate Chunk, S'Mores and Chocolate Chip Cookie Dough you can't go wrong. Each flavor is amazing and I love that they contain enough protein to keep me full and energized all day long. 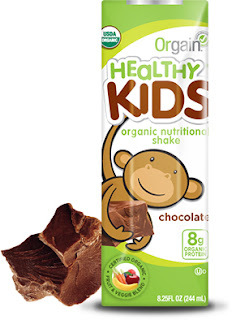 Orgain's Healthy Kids comes in Chocolate, Strawberry & Vanilla and my kids love them! 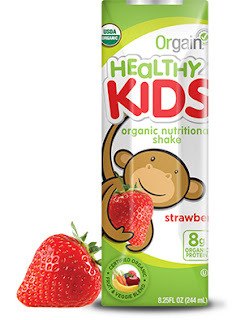 My kids can be pretty picky about what they drink but they absolutely enjoyed these flavors from Orgain's Healthy Kids line and with school back in session these drinks would make a perfect addition to their school lunch. Orgain has developed some incredible products and I highly recommend them! Click HERE to find a store near you that sells Orgain! Click HERE to learn more about Orgain! Follow Orgain on social media!